We checked out of Bay Lake and brought our bags to the Polynesian where we stayed for one night. 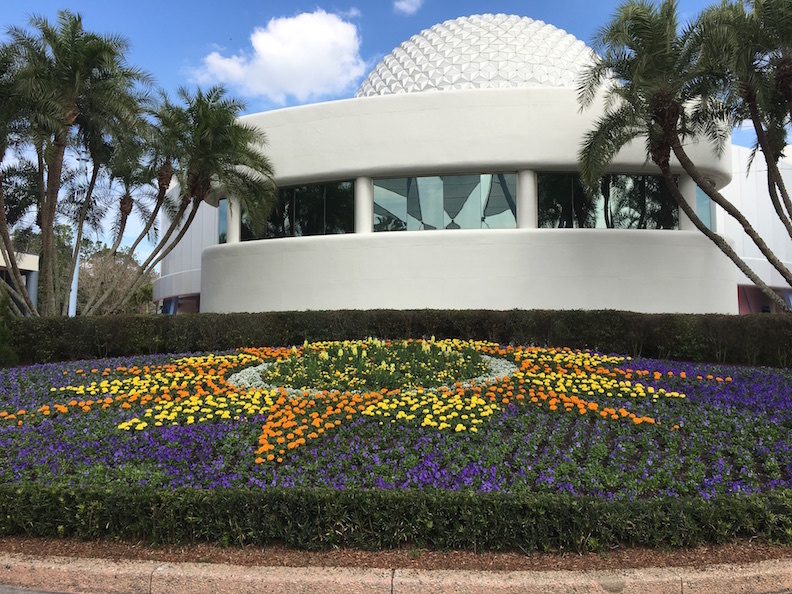 We had breakfast at Kona then took the Monorail to EPCOT. 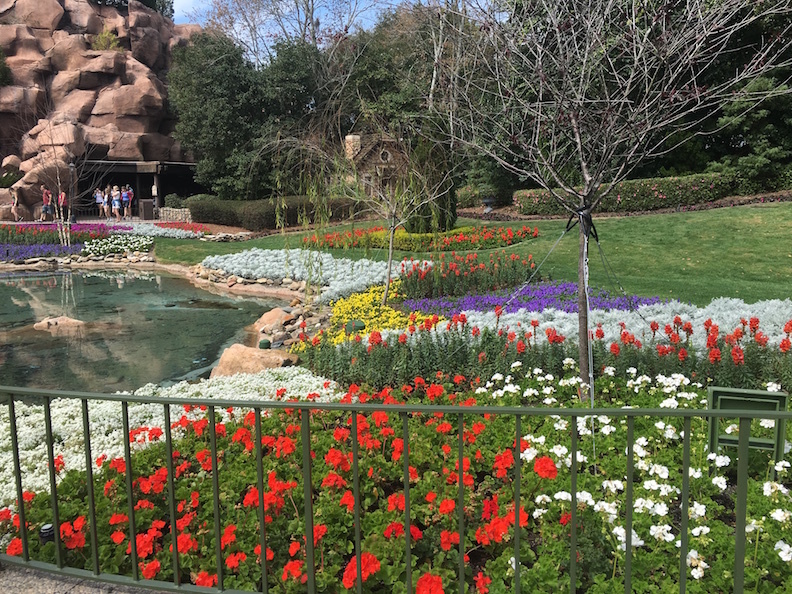 It was two days before the start of Flower and Garden but a lot was in bloom and smelling FANTASTIC! 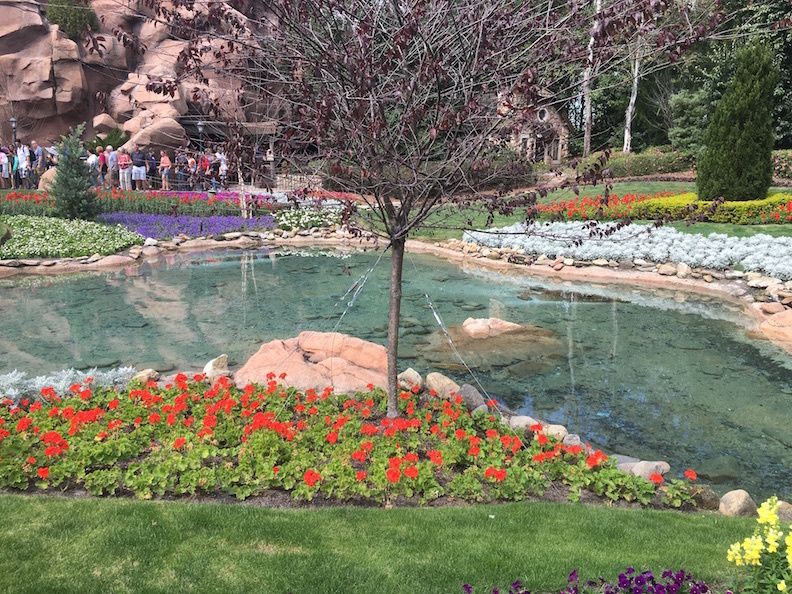 We explored more of the flowers including those at the Canada Pavilion. We then took the Monorail back to the Polynesian. 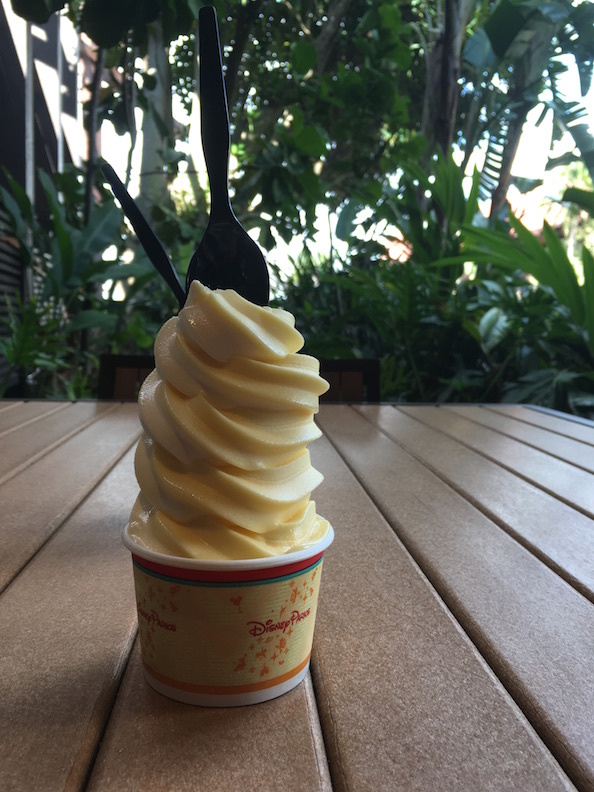 We hadn’t received the text that our room was ready so we set up to enjoy some Dole Whip and the front desk informed us that the room was in fact ready and had been – they just didn’t send the text for some reason. Either way – perfect timing. 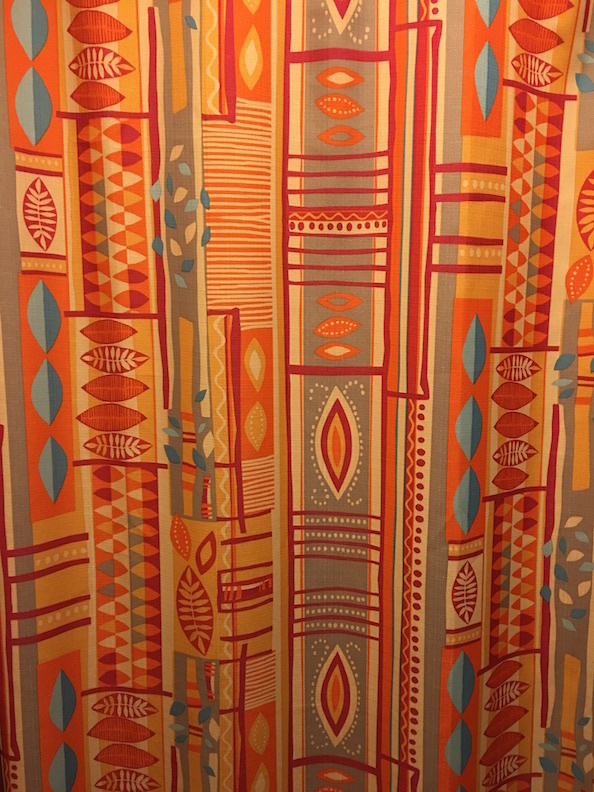 Like anyone else who has stayed at the Poly DVC I can confirm its absolutely gorgeous. We stayed in Pago Pago only for one night and it was one of the major highlights of the trip. We put on some Hawaiian music and relaxed in paradise. 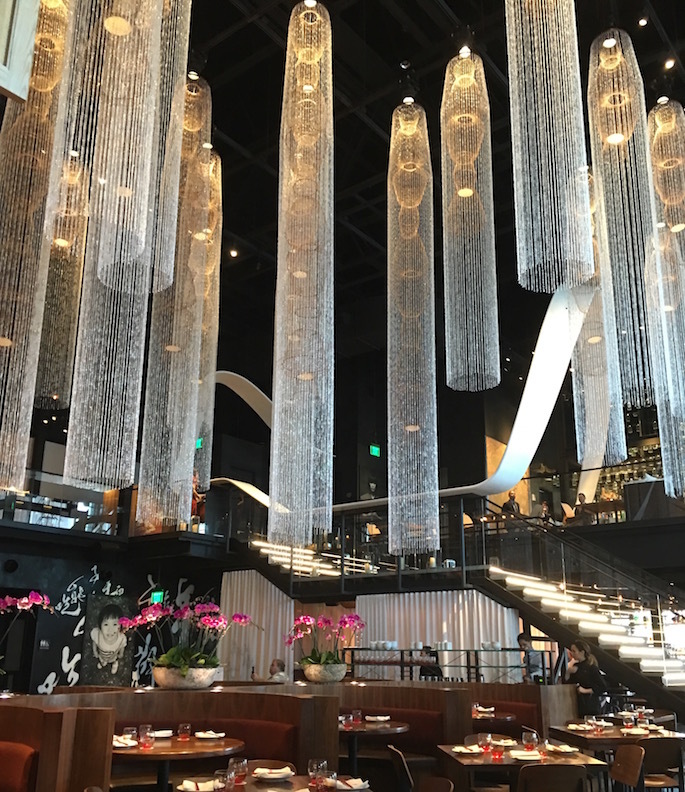 We had reservations a Morimoto in Disney Springs for an early dinner. This is where my second cautionary tale regarding Uber begins. 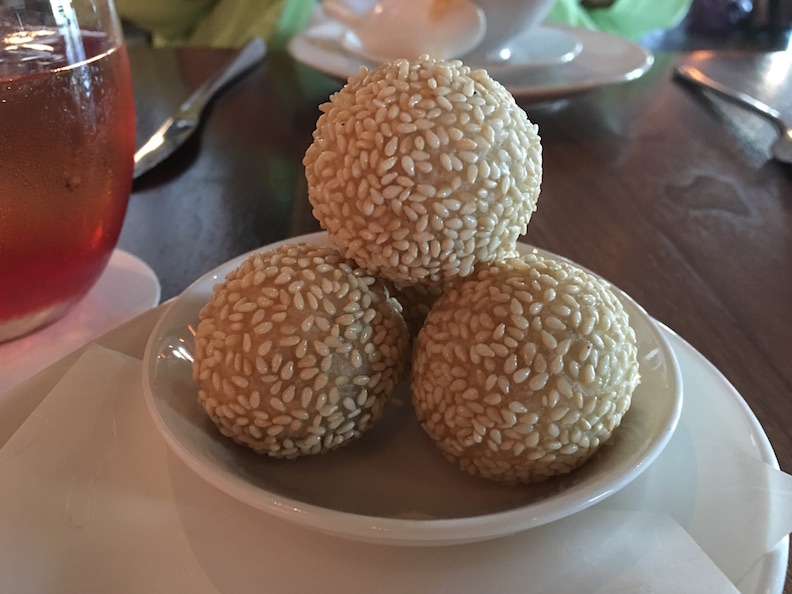 We thought they would be able to pick up in the DVC parking lot near Pago Pago – they are not allowed in so we had to walk to the lobby. This makes sense in hindsight. We were waiting at the lobby when a cast member asked us if we were waiting for Uber. She informed us that the GPS locators often send them to the Grand Floridian instead of the Poly and this in fact happened to our driver. I would recommend texting your driver and confirming the resort location. There is so much construction at Disney Springs right now and they really only allow cabs to drop off on the West Side – even if you are trying to get to the Marketplace so if your goal was to cut down on walking – waiting for the bus might be the better option. Pickup for Uber at Disney Springs is in the “Strawberry Lot” – that’s on the other side of West Side so if you are coming from the Marketplace Area it could be a trek. We were going directly to Hollywood Studios and still thought this was easier than bus hopping. Morimoto makes one hell of a Singapore Sling! I highly recommend. We went to see the Star Wars Fireworks AGAIN after dinner because they are THAT GOOD. Since we had already taken 2 Uber rides we figured we would take the bus back to the Poly – at park closing. This 45 minute exercise in patience reminds me why I try to be at a resort that is walking distance or linger in the park after hours until I’m forced out. 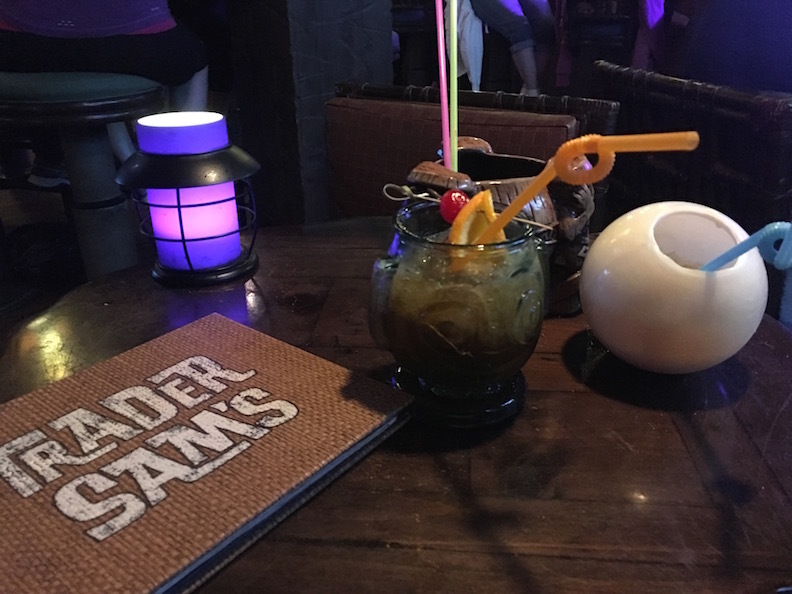 We closed out the evening at Trader Sam’s Grotto. 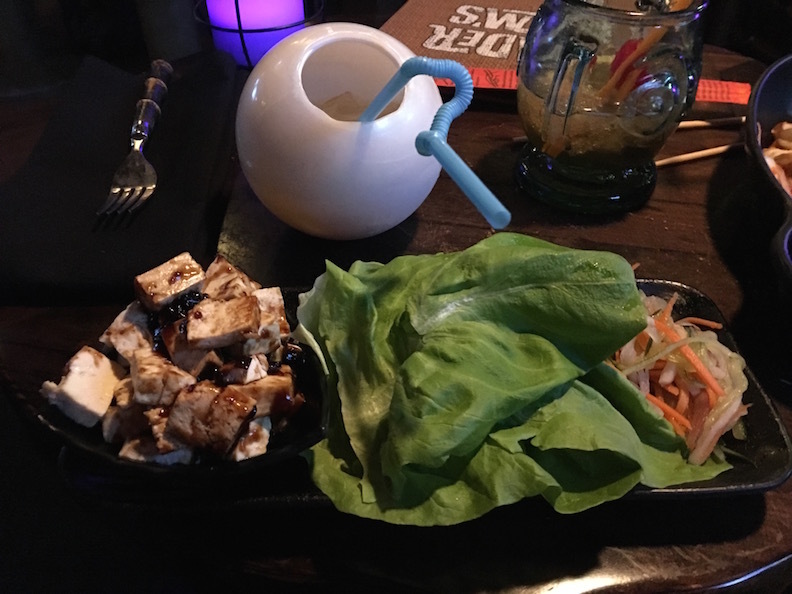 Last time we were there – they said they couldn’t do anything for vegetarian food (outside of sushi) but this time they offered tofu for the lettuce cups! It was so tasty! On the walk back to Pago Pago we stopped at the Tiki Terrace outside the Grotto to listen to the ukulele player. He was so good I would say its worth the visit alone to see him perform. Aloha!